I'm currently in the market for a new power supply. 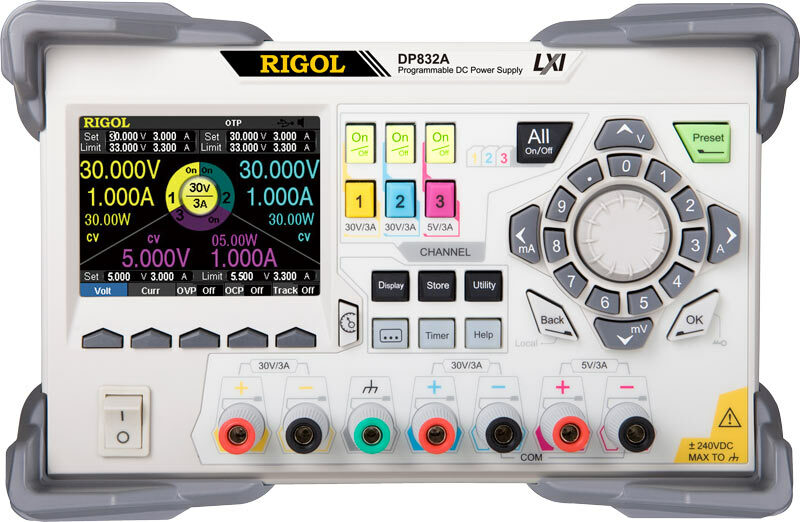 I was all set to purchase a Rigol DP832 when I was approached locally with an offer to purchase an Agilent E3631a for $330. I'm not sure if the extra $120 is worth the differences or not. The Rigol would have a warranty as well. Text table below for copy pasters. - plus you get 3 years warranty. My head is leaning towards the Rigol. The Agilent Brand name carries something with me. I remember using the HP version of these supplies in school. Maybe nostalgia is getting me. I have a lot of recent (1-2years) Keysight and Rigol equipment. I am a big fan of Rigol's equipment, especially given its bargain basement prices, but I have to go with the Agilent here. I own an E3631A, its about 20 years old, and it is an absolute joy to use. It won't break on you, and if it does the schematics are online and almost all the parts are easy to find jellybean components that can be easily and readily replaced with little to no cost to yourself. Obviously if you need more than 80 Watts you wont go for the Agilent, but if you can live with the 80 Watts I think the quality and reliability are unsurpassed in the industry. E3631A is considerably better quality than the Rigol if a little less fancy. Also to note, you can occasionally pick up an E3631A for very little money if you're prepared to wait around. Have seen them going for equivalent of $150 here in the UK (usually when I have no money!). Don't forget the other supplies from that line as well E3632A-E3634A which can kick out 100W or so. E3631A is considerably better quality than the Rigol if a little less fancy. If both were brand new, I maybe could agree with this statement (altough I am not aware of so many failed 832, apart from the initial issue with the regulator). 1. Rigol known overshoot. Think that is resolved but you don't ship a power supply that overshoots in this century ever. 2. Rigol filed off chip identification limiting repair options. 3. Rigol noisy as hell. I was going to buy one recently but decided to stick with my TTi supplies for now until something like an E3633A with some wumph comes along cheap. E3631 has been on the market for a long time. You can still buy new ones and parts now. A second hand unit is a very good investment. So you miss readout for all channels? Not bothered myself. Note that an E3631, even an old one was a $1000+ supply when it was new. Hi, I can understand some of your points, but for me, these are quite ok.
4) Ok, that can be a dealbreaker for some. Defenately not only Rigol, and I consider this not so critical because low energy and low voltage. But for very sensitive loads, I would always disconnect the load, even with the most high end power supplies available. In my case when I am testing, the DP832 is always power on, I only use the enable/disable buttons. 6) Never ran accross a bug, but I only use it as a power supply, no automation or advanced features. Do you have a reference? Just PM me when it happens, I have always money for you. I can't stand the DP832 because it has not 3 isolated channels. The CH2 negative is connected with the CH3 negative and knowing me I will burn something one day because of that. E3631A You have also schematics. To me no brainer E3631A all the time. Is this really the case? How about using the outputs in series then to create 0 to 60V ? No problem, CH3 is the 0-5V channel. There is a very irritating COM line on the front panel connecting the NEG CH2 with NEG CH3. That was another thing that put me off. It really wasn't much more effort to provide 3 isolated outputs and they didn't bother. Good points about service manual. E3631A is available from keysight web site. Also the E3631A design is derived from the older HP supplies which is derived actually from Harrison supplies from the 1960s. The fundamental design has not changed, only the technology that implements it. That's merely 60 years of improvements gone into the designs. I'm not so sure about that. I wouldn't buy a PSU which has such a connection because I'm pretty sure it will become a nuisance at some point. For a bit less than a new 832 is a SPD3303X-E and while the X-E of the series has got 10mV/mA resolution it's $389 and can do all the Rigol can do. Excepting it offers 3 properly isolated channels. Seems dumb they would design and build like that when if you really needed it you could just add a link between binding posts. I was just referring to your Q to create 0-60V. Since the link is not between the 2 30V channels that is not a problem. It looks like you can only display the settings for maximum 2 channels on the display? ... another difference seems to be that the low voltage output on the Siglent is only fixed values(2.5,3.3,5) and not continuously adjustable (0-5) like on the RIGOL. Why did they do that ? That is why i got DP831. It has +-30 and isolated low voltage ch.